It’s the most wonderful time of year; the annual F1RST Friday Holiday Celebration is upon us. Join the Downtown Statesboro Development Authority on Friday, December 7th from 5:00 – 8:00 p.m. for an evening filled with holiday fun and cheer. This year’s Holiday Celebration includes the Run the Boro 5k, Chili Cook-off, the holiday parade, and much more. The holiday parade will feature dune buggies, golf carts, dance teams and Santa Claus. For the little ones, there will be a photo booth with Santa and Mrs. Claus in the Emma Kelly Theater inside the Averitt Center and the Kidz Farm train ride in the Synovus Bank parking lot. Registration for the Run the Boro 5K is $25. For teams of 10 or more people, registration will be $15 per runner, and all Statesboro YMCA members are only $10. This year we will also have a kiddie fun run for only $10 and starts at 5:00 pm. In addition, CHILDCARE will be available for runners provided by the friendly YMCA staff next to City Hall. All proceeds will go to the YMCA of Statesboro. After the 5K, treat yourself to some well-deserved chili at the Chili Cook-off brought to you by the Statesboro Convention and Visitor’s bureau. Vote for People’s Choice for just $1, and the winner will receive a trophy. All donations of the Chili Cook-off will go to the Boys and Girls Club. This year the City of Statesboro Mayor Jonathan McCollar, will be our master of ceremonies. There sill be a community stage with live entertainment on the courthouse steps. Some of the performances include, Southern Saxophones, The Averitt Center for the Arts, The Dancer’s Edge, The Helen Redding School of Dance, Believers Church, and Crossroads Community Church. You can sing along and enjoy the Celebration of the Holiday Season. You don’t want to miss out on this fun-filled evening of holiday festivities. Bring your friends and family downtown to enjoy the most wonderful time of the year. For more information, contact the Downtown Statesboro Development Authority at 912-764-7227. 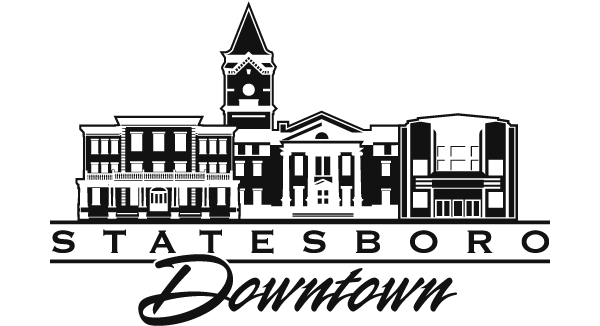 Main Street Statesboro and the Downtown Statesboro Development Authority are committed to the economic development, historic preservation and beautification of Statesboro’s downtown area. The purpose of Main Street Statesboro and Downtown Statesboro Development Authority is to revitalize downtown economically and socially within the context of historic preservation by increasing financial viability and ensuring the success of Businesses.